We love meatballs and always have a ziplock bag of frozen ones available for any spontaneous meatball cravings! They are such a fun and versatile protein to have around. We like ours made with a combination of meats, with our favorite being turkey and ground beef. We often add vegetables to ours, too, such as chopped fresh spinach or cooked carrots and onions. This is a good appetizer for a group but I've had it for dinner for myself. Such a delicious treat, too and so simple! In individual ramekins, place meatballs in dish. Spoon goat cheese into dish, around the meatballs. Saute spinach with a little olive oil until wilted. Season with salt and pepper. Add marinara sauce and heat until warm. Spoon sauce over meatballs and cheese. Bake in oven until cheese bubbles. Serve with crusty french bread. 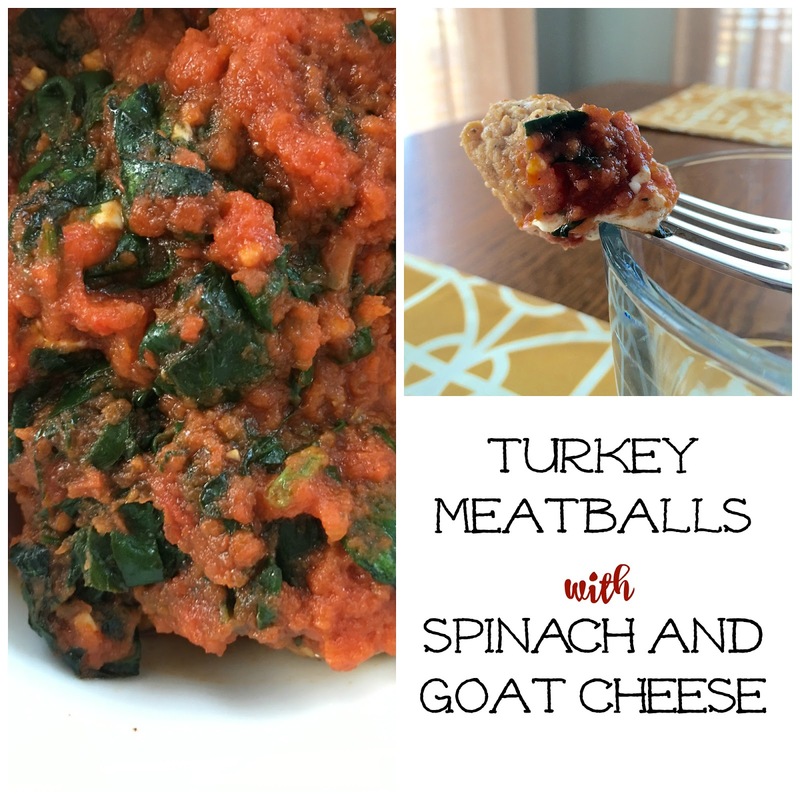 Spinach is one of my favorite additions to meatballs! YUM! This sounds perfect for a quick weeknight supper! These are making me hungry, nicely done!! These certainly do sound delicious and I love the addition of veggies. Oh goat cheese! 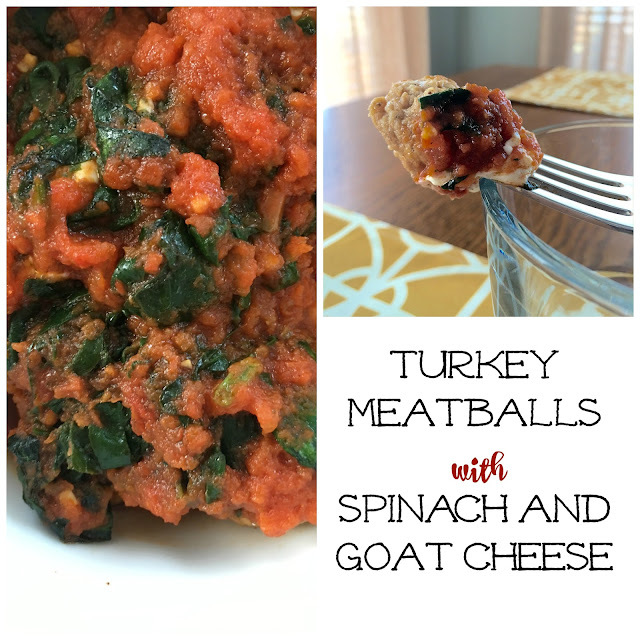 Great addition though I love spinach too! What a delicious idea! Your spinach marinara sauce is calling my name! Simply, healthy, and I'm sure delicious makes for a great recipe. Sounds so easy and delish!